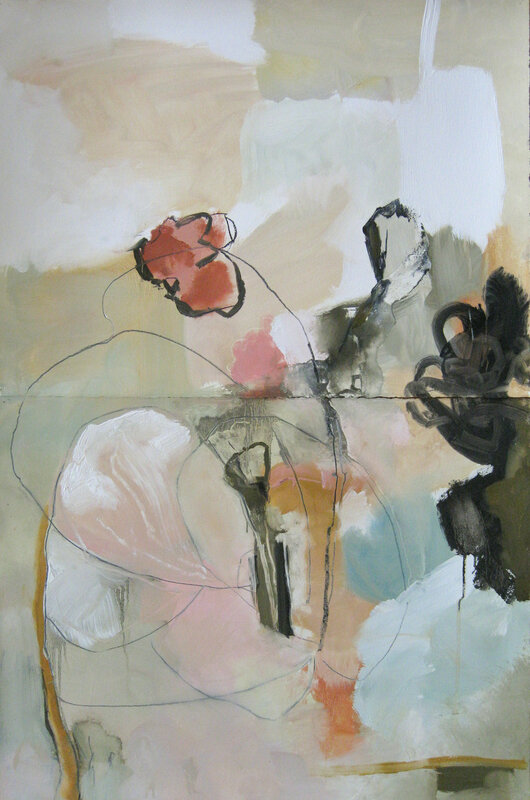 Susan Denniston is a painter, printmaker, and mixed media artist living near the ocean on Boston's South Shore. Her work contemplates the ambiguity of a world in which things are not always quantifiable and clear, acknowledging our fragility, vulnerability, and certain impermanence. The inherent messiness and imperfection of human connection is often imbedded in her process of layering, scrubbing away, revealing glimpses of what lies beneath; making marks, making corrections, making connections, making amends. Leaving a trace. Denniston was born in Pittsburgh, PA and received her BA from Bates College, Lewiston, ME. In 2000, after 20 years in the hi-tech medical software field, she left to pursue her interest in art. She studied at the School of the Museum of Fine Arts, Boston; Mass College of Art; the Fine Arts Work Center, Provincetown, MA; and the South Shore Art Center in Cohasset, MA. In 2016 she visited Karkow as part of a printmaker’s cultural exchange hosted by professors at Jan Matejko Academy of Fine Arts. In 2018 she was invited to exhibit prints at Krakow's International Print Triennial. She has studied etching at Studio Camnitzer outside of Lucca, Italy and has returned there several times for residencies. In 2013, she completed a summer residency at Full Tilt Print Studio and was a visiting artist at Wheaton College in 2013. 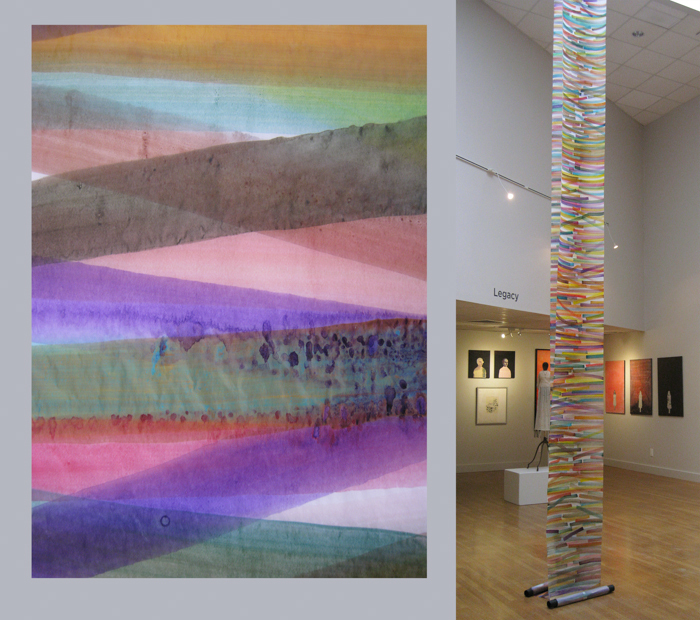 Her work is seen regularly throughout New England in regional art museums and college/university art galleries. Her work has been selected for exhibit by curators from the MFA, the ICA, and the Chicago Institute of Art, as well as by artists, professors, and gallery owners. A print is in the Boston Public Library’s collection of prints. She served as president of the Monotype Guild of New England, a national organization exhibiting unique prints, from 2008-2010 and currently serves as treasurer and executive board member of the Boston Printmakers, a 70 year old North American print organization. She is a juried artist member of the National Association of Women Artists, the Boston Printmakers, the Cambridge Art Association, and the South Shore Art Center. For information about purchasing or exhibiting art, contact her at denniston.susan(at)gmail.com.